Looking to buy a new mic for modification? 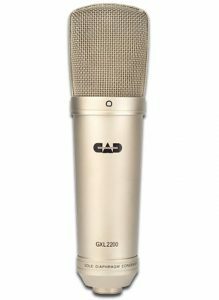 If you’re looking to buy a new mic that is compatible with our 990 mod kit, look no further than the CAD GXL2200 or GXL2200BP. Internally, these are the same mic. The only difference is that the “BP” version (which stands for “Black Pearl”) has a black chrome finish instead of the more traditional champagne finish found on the standard model. While more and more mics from MXL and other manufacturers are moving to using surface mount components in the circuit (abbreviated “SMT” or “SMD” for “Surface Mount Technology” or “Surface Mount Devices”) , as of this writing (May 2018) the GXL2200 AND GXL2200BP still use through-hole capacitors that make for easy modification. These mics also normally ship with a nice spider shock-mount and zippered storage case. « Do you really need a $1k to $3k mic to get started?